Is Laila Ali related to famous boxer Muhammad Ali? She attended Hamilton High School L.A before heading to Saint Monica College where she bagged a degree in Business Management. While in college, she worked in a salon as a manicurist. Laila delved into boxing at the age of eighteen and made her intentions known during her interview on the Good Morning America show anchored by Diane Sawyer. Her decision didn’t go down well with her father who asked her to drop the “dangerous venture”. But Laila would rather do any other thing than give up her dreams of becoming a boxer. Her first fight was against April Fowler at the Turning Stone Resort and Casino, New York, in October 1999 and it attracted a large number of spectators and journalists who didn’t leave disappointed because Laila won the fight. Her next fight was against Shadina Pennybaker at the Mountaineer Casino, Racetrack and Resort, Chester, West Virginia, and again she won. 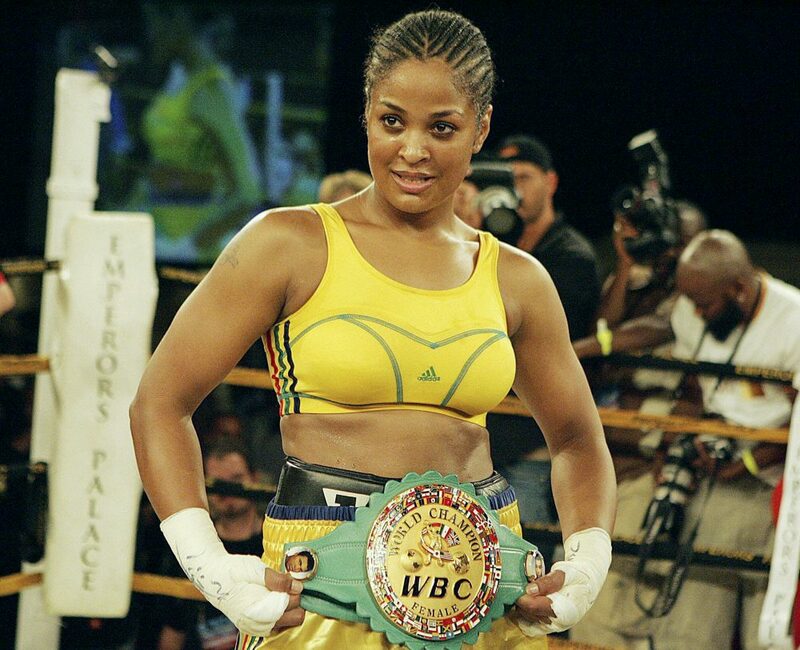 In 2003, she defeated her idol Christy Martin with a knockout in 4 rounds. The next year, she defeated Monica Nunez at her father’s native city, Louisville. Laila Ali had a very successful boxing career and retired undefeated. She planned for a tour around the world which unfortunately never held. Her last fight was in 2007 and it was against Gwendolyn O’Neil in Johannesburg, South Africa. Laila is a recipient of several titles like the WBC, WIBA, IWBF and IBA female super middleweight as well as the IWBF light heavyweight title. She earned the IBA Female Super Middleweight title twice (2002, 2004) as well as the WBC World Super Middleweight title. Ali became the second woman to win the WBC title with the first being Jackie Nava. She was awarded the Awakening Outstanding Contribution Award (AOCA) in 2012. Aside from boxing, Laila also has a talent in acting and has starred in a few movies and hosted a few television shows. She co-anchored NBC’s American Gladiators alongside Hulk Hogan. She also co-hosted EveryDay Health on ABS network alongside Ethan Zohn and Jena Morasca. She is the co-author of a motivational book for young people titled Reach! Finding, Spiritual, and Personal Power. In 2007, she featured on the season 4 of Dancing with the Stars – a television show, later that year, she was in an episode of Yo Gabba Gabba! – a live-action/puppet educational children’s television show. The next year, she was on CBS as a contributing correspondent on The Early Show. She also hosted the reality show, The N’s Student Body and was on NBC reality series The Biggest Losers. Ali was also on E! Talk show series, Fashion Police, and hosted the show, All In With Laila Ali. As at 2018, Laila’s net worth is estimated to be around $10 million by celebrity net worth. The earnings are from her boxing career as well as her several TV appearances. Also Read About: Mike Tyson Height, Children, Wife, Net Worth, Weight, Is He Dead? Laila has been married twice. Her first marriage was to Johnny Yahya McLain, a boxing promoter who she met at her father’s 57th birthday. Her sister Hana introduced them. McLain would later become Laila’s manager. They got married in 2000 but it only lasted five years. When Ali and McLain divorced in 2005, he ceased being her manager. 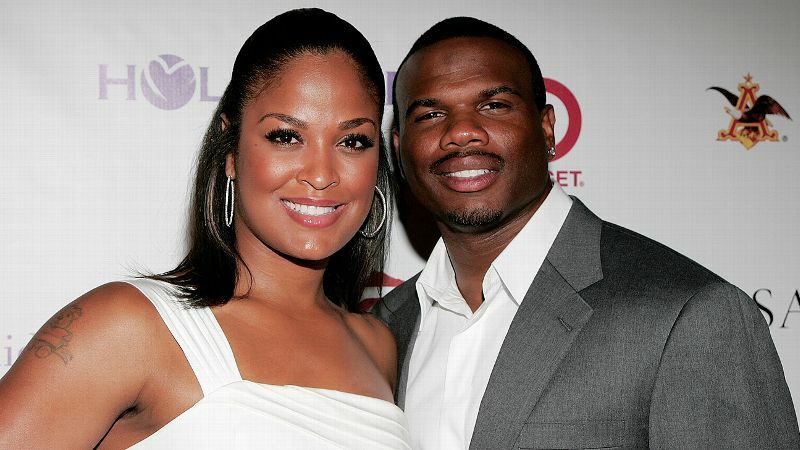 Ali is currently married to former NFL player Curtis Conway. The couple has been married since 2007 and their union is blessed with two adorable kids; a son Curtis Muhammad Conway Jr, born on August 26, 2008, and a daughter named Sydney J. Conway, who was born on April 11, 2011. Laila Ali is also a stepmother to Conway’s three kids (twin sons Cameron and Kelton and daughter, Leilani) from his previous marriage. Her family recently appeared on the hit reality TV show Celebrity Wife Swap where she swapped lives with singing legend Angie Stone for a whole week. The former boxer and mother of two stands at the height of 5 ft 10 in (178 cm) and weighs 154 lbs, that is 70kg.